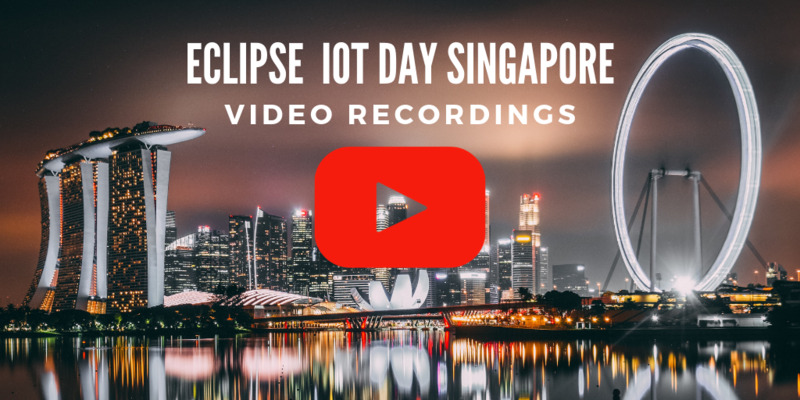 Eclipse IoT Day Singapore Videos are Available! Last month, we held our very first Eclipse IoT Day in Asia—Singapore more specifically, and it was a blast! Ian Craggs, one of our speakers, did a really great job of writing up his summary of the event and I don’t feel like I have much to add! It was great to see that for this first event in the area, we ended up not only with an impressive line-up of speakers from all around the world but also a room literally packed with attendees. In case you couldn’t attend, you will certainly be happy to hear that all the sessions were recorded, and are now available on our YouTube Channel. Check them out! You can also find a copy of the presentations here. Previous PostHow many lines of open source code are hosted at the Eclipse Foundation?Next PostThe Open IoT Challenge 5.0 is live!